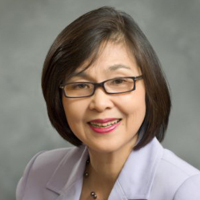 Millie Chan is an Independent Senior Consultant to Borden Ladner Gervais LLP (BLG)'s Vancouver office. Prior to her appointment as Senior Consultant, Millie practised law in BLG's Vancouver office and focused primarily on assisting high-net-worth families, particularly in Asia, in the area of holistic global estate planning, involving inter-generational wealth transfer, asset protection, and capital preservation. Before immigrating to Canada, Millie practised law in Malaysia for approximately 27 years where her focus was on corporate/securities and commercial matters, including corporate finance. Millie is now a non-practising member of the Law Society of British Columbia and she concentrates on providing consultancy services in the area of holistic global estate planning, particularly to high net worth individuals and business families in Asia. For this purpose, she travels regularly and extensively to Asia. Millie is fluent in English, Mandarin and Malay, and conversant in Cantonese and Hakka, as well as (minimally) Hokkien.